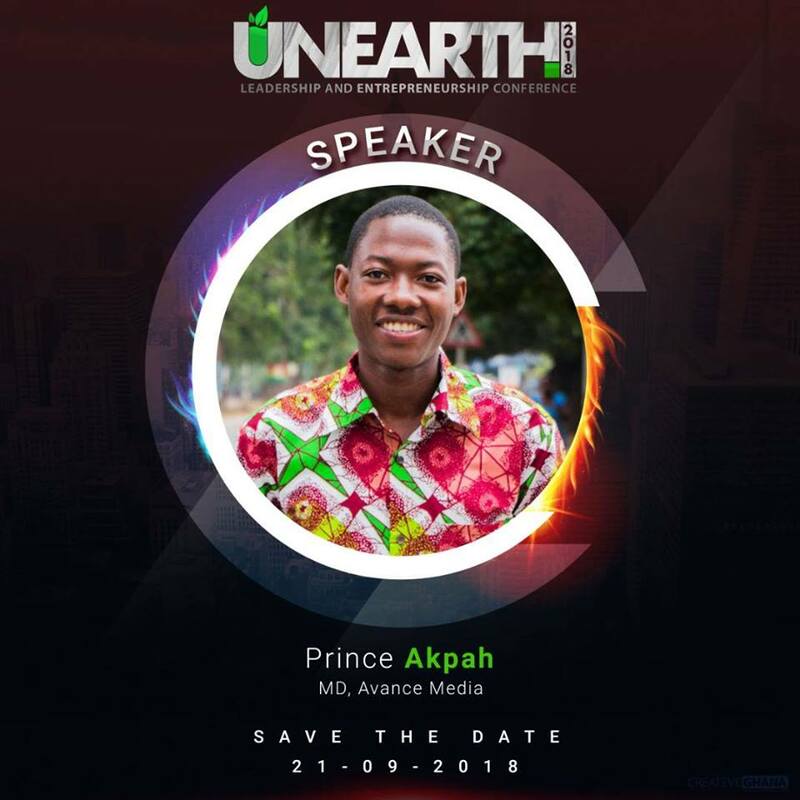 All is set for the gathering of young entrepreneurs and businesses on Friday 21st September, 2018 at the FFC Auditorium, off Ahenfie Junction, Kasoa Akwelley for the 2018 UNEARTH Conference. Confirmed speakers for this’s conference are Prince Akpah, MD of Avance Media & Founding president of Africa Youth Awards, Ekow Mensah, CEO- The African Network Of Entrepreneurs (TANOE), John Armah, CEO- Orios Group, Afua Asantewaa Aduonum, Entrepreneur and TV Host, Bright Aferi, CEO- Hillbill Company Limited, Queen Armah, CEO- KeleQueen, Joseph Donkor, CEO- CreatEve Ghana, Samuel Afedzie, Co-founder- KraftsMen, Eric Edem Agbana, Youth Activist and Entrepreneur and your host Ebenezer Essuman, Founding Partner- Synergy Empire incorporated. Leadership and Entrepreneurship Conference 2018 is proudly sponsored by Kanea Multimedia and CreatEve Ghana with Avance Media, Free Family Chapel, KeleQueen, Hillbill Shoes, Orios Group, Tanoebusiness, Kraftsmen, and Kanea Piktures as supporters.